Helix by MicroMetrics is a tailor-made suite of hospitality solutions that power personal and timely service recovery, leading to improved internal communications and allowing guest-centric hoteliers to achieve a high-repeat market. The Helix Suite helps the world’s top international hotel brands create memorable experiences, unravel missed in-stay service opportunities and cultivate deep-rooted relationships with loyal guests to drive direct bookings. 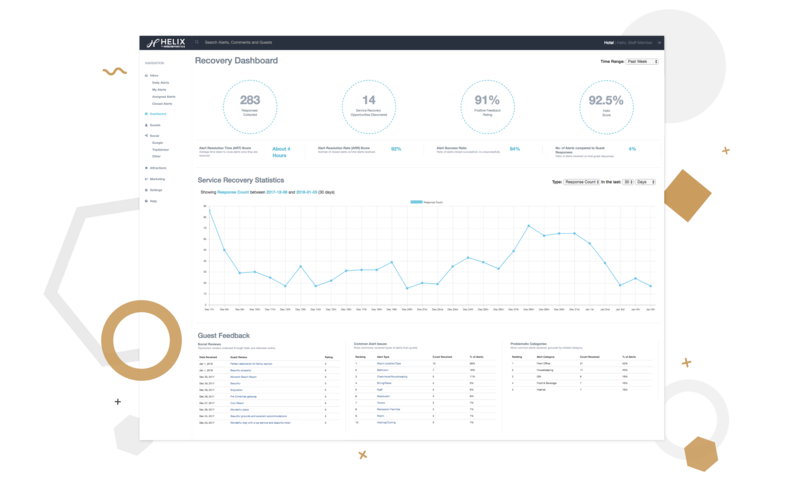 All of our solutions in one place, the Helix Portal provides you with tools to communicate with your guests, monitor staff engagement, and draw insights to improve internal guest satisfaction metrics, from feedback provided by your team and guests. Get to know your guests better through Helix’s multi-channel feedback solution. Maximize the effectiveness of your guest engagement initiatives by leveraging channels that are most convenient to them. 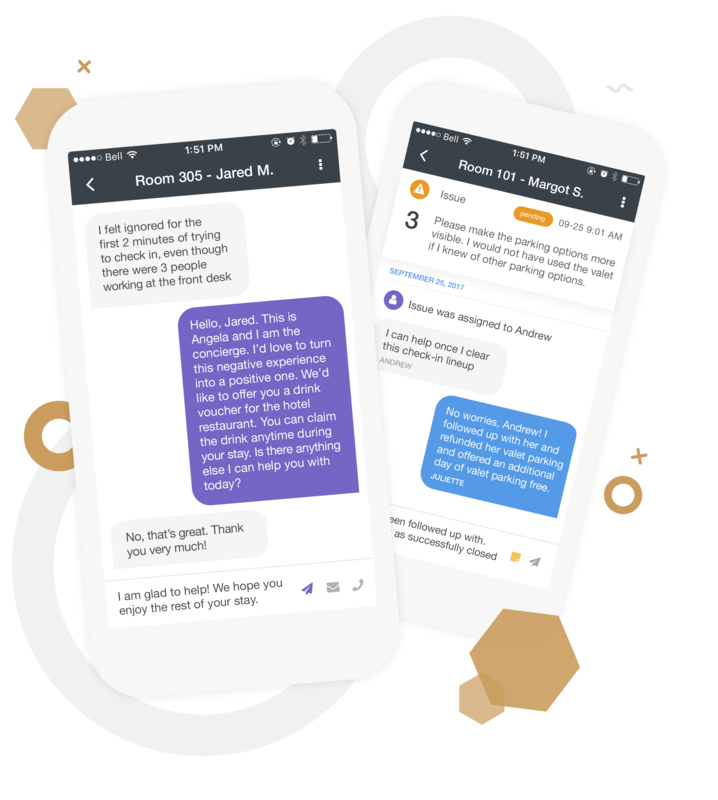 Enable guests to engage in real-time conversations with your hotel staff before, during, and after a visit through Helix Messenger. Helix Messenger is designed to make it easy for guests to request services and communicate with your staff directly from their mobile device. Helix’s Mobile SDK solution empowers you to get real-time feedback from your guests directly on your corporate app. Our Mobile SDK solution can be easily accessed and configured on a wide range of channels — including, mobile and web. You’re just a few seconds away from finding out why hundreds of hotels have chosen Helix to significantly improve overall scores.